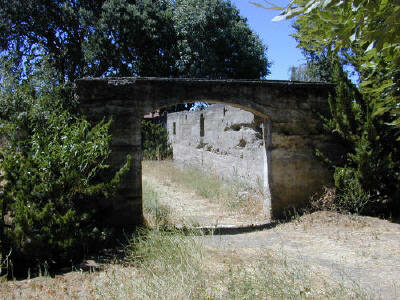 The first bicycle was invented in France about 1790. Thirty years later, German Baron von Drais produced a model with a steering br connected to the front wheel, called a "Draisine". 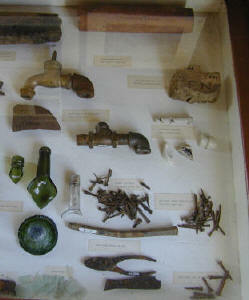 A Scots blacksmith, Kirkpatrick Macmillan, added foot pedals to the Draisine in1839. Pierre Lallement, a French carriage maker, took out the first U.S. patent on a pedal bicycle in 1866. 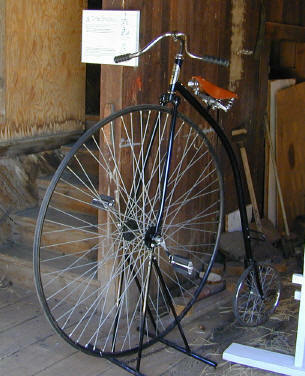 In the 1870s, a new type of bicycle called the "high-wheeler" or Penny-Farthing" appeared. It had a huge front wheel and a small rear wheel -- like a large English penny compared to the tiny farthing coin. Our reproduction Penny-Farthling has a front wheel diameter of 4 feet. Each turn of the pedals revolves the big wheel around once, so the bicycle travels a long distance on each push. The first "safety bicycle" was made in England in 1885. This bicycle had wheels of the same size, which made it easier, thus safer, to ride. Pedals drove the rear wheel by means of a chain and sprockets, as they do on today's bikes. By 1890, bikes had air-filled tires, coaster brakes, and adjustable handle bars. In the late 1890s, there were approximately 4 million bicycles being ridden in America. 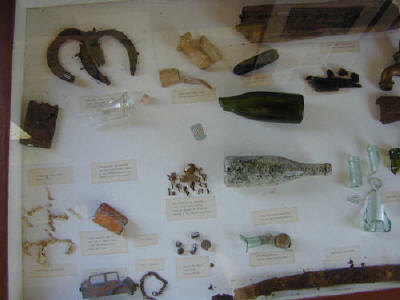 A display of items found during the archeological dig a the old winery. 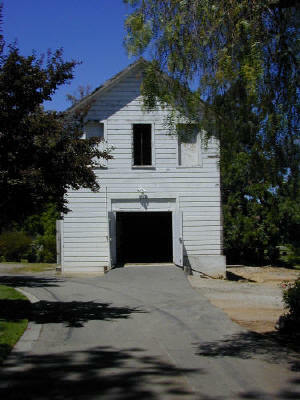 Located in the Carriage House. 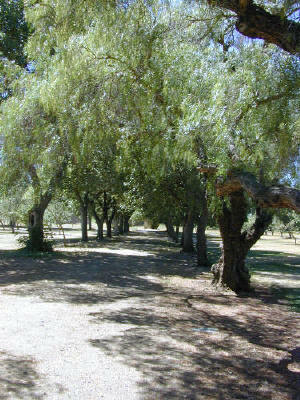 Row of trees leading back to the winery.